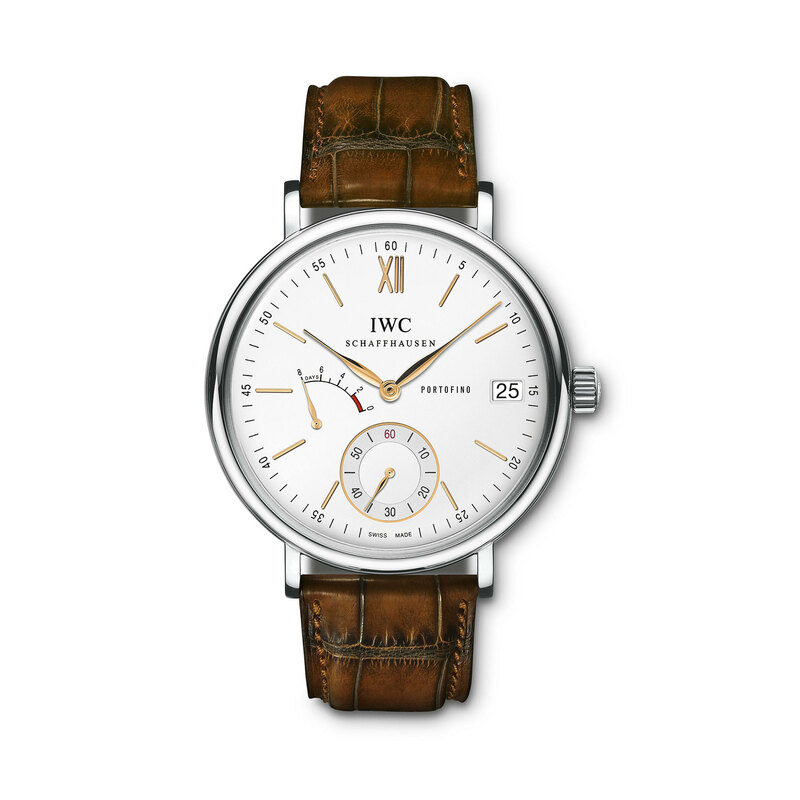 With the Portofino Hand-Wound Eight Days, IWC offers an elegant and powerful timepiece. The stainless steel case presents the silver plated dial with the date window at three, the small seconds at six as well as the power reserve display at nine o'clock. The hand-wound watch has a power reserve of eight days. A brown Santoni alligator strap adds the finishing touch.